In this new feature, we run down the latest releases by industry experts who deserve a space on your shelf. Even the most computer-attached among us can usually point to a book or video that helped put us on the right path in fitness and strength training. Maybe yours was Arnold&apos;s "New Encyclopedia of Modern Bodybuilding," or a classic Robert Kennedy or Larry Scott title. Perhaps it was an obscure VHS that you wore out, or something you&apos;d rather not admit to, but which still made you feel like you&apos;d "gotten it" for the first time. Even during the digital age, high-quality books and videos still set the bar when it comes to presenting comprehensive, well-sourced research and innovative training systems. In this new regular feature, we&apos;ll run down the latest promising new releases worthy of a place on your nightstand or coffee table. If you&apos;re looking for a way to turn your interest in training into a full-fledged education, they&apos;ll give you a good idea where to start. Who it&apos;s for: Anyone who believes a muscular physique begins with a strong knowledge of anatomy. While definitely the most popular group of muscles for people to train, the arms are also the simplest, and they&apos;re arguably of much lower importance when compared to the muscles of the hips, legs, back, or core. So I understand why legendary French illustrator Frederic Delavier, author of "Strength Training Anatomy" and a host of other titles, chose to focus on the arms in the second of his body part-specific training guides, after 2011&apos;s "Core Training Anatomy". I just wish he&apos;d hurry up and hit more body parts! This book is chock-full of high-quality photos and illustrations done by Delavier himself. 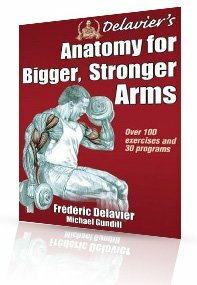 Demonstrating a deep practical and working knowledge of anatomy and biomechanics, Delavier and co-author Michael Gundill outline everything you need to know to build large, shapely arms. A beginner can pick up this book and find the exercises, goal-setting guide, and arm workout programs they need to start their journey. Meanwhile, there is plenty of meat for the seasoned trainer, such as an impressive section on selectively training and understanding weak areas, common pathologies, and carryover into sport. I have never seen a book that covered arm training at such a high level, yet was so simple to follow and beautifully illustrated. "Anatomy for Bigger, Stronger Arms" is without peer. by Jay Dicharry, MPT, SCS. Who it&apos;s for: Athletes who don&apos;t think "runner" needs to be a synonym for "weak" or "slouched". The sport of running is at a crossroads. On one hand, the chorus of voices in the fitness community advocating sprints and interval training, and dismissing distance running altogether, has never been louder. On the other, extreme feats like ultramarathons are exploding in popularity. 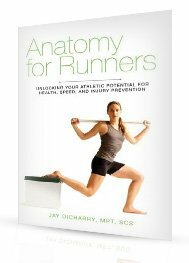 In "Anatomy for Runners", Jay Dicharry, the director of the SPEED Clinic and the Motion Analysis Lab at the University of Virginia, offers an "approachable biomechanics text" outlining how one of the foundational human movements has devolved into "some crazy type of badge-of-courage sport in which you have to pound yourself into shape day-in and day-out until you emerge on top." Lost somewhere among the endless miles runners are logging are basic ideas like form, conditioning, and risk assessment, all of which runners ignore at their own peril, Dicharry writes. Stunningly, more than 80 percent of runners will sustain a running-related injury at some point in their lifetime, yet as he points out, the act of running itself has never been clinically proven to be bad for you. In response, Dicharry recalls his own checkered history with running and injury before laying out "how the musculoskeletal system responds to running, and how to optimize this relationship." In a slim volume priced less than a bestselling novel, he offers up well-illustrated mobility and stability tests to assess form, corrective exercises to improve flexibility and strength—including weightlifting—and principled tips in regard to footwear, stretching, and trends like barefoot running. While he seems to favor a minimalist or barefoot approach to running, Dicharry also grants that heel-strikers can run without injury, and offers recommendations to help them do so. That may seem a small concession, but by bringing them in, he succeeds in making Anatomy for Runners a necessary title for runners of all stripes. Click here to read our interview with Jay Dicharry and see his exclusive strength training program for runners. Who it&apos;s for: Enterprising home-CrossFitters who both sprint and go the distance. Like Jay Dicharry, Brian MacKenzie treats running and other endurance sports as skills that should be developed strategically, rather than simply by piling on volume. 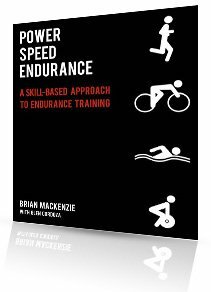 However, MacKenzie, the creator of the CrossFit offshoot CrossFit Endurance, goes far beyond biomechanics in "Power Speed Endurance", laying out a total approach to preparing for endurance running, rowing, cycling, swimming, or triathlons. In a large and lavishly illustrated manifesto, MacKenzie goes into deep detail about strength training and conditioning, athletic technique, programming, and even nutrition and performance fueling. In short, MacKenzie advocates preparation for distance rather than through distance. While long-distance training has a place in his programs, it is something to be worked up to in the long-term. In the short term, "stamina work is done at 80 percent effort or above," in the form of intervals, time trials, technique drills, and CrossFit AMRAP onslaughts. The goal, he says, is efficiency: "First, master the skill of movement to improve movement efficiency; second, slowly add higher intensity workouts to build strength and test the limitations of your technique; then, once you can maintain technique with intensity, add volume." A narrative of injury-prevention and overall health runs deep through "Power Speed Endurance." Both MacKenzie and T.J. Murphy, who contributes the forward, detail how their experiences with traditional endurance training left them injury-ravaged and fundamentally weakened. CrossFit was their savior, leaving them able to both run a race and walk comfortably afterward. At about half the price of a monthly membership to a CrossFit gym, MacKenzie&apos;s volume is a valuable exercise reference for anyone considering making the change to that system, or to CrossFit Endurance. If you&apos;re considering doing those systems on the cheap at home or in a standard gym, the volume is doubly valuable; he offers comprehensive 6-week and 12-week introductory programs, both general and sport-specific. Who it&apos;s for: Bodyweight-movement enthusiasts looking for new challenges on the cheap. You&apos;d probably recognize Al Kavadlo by sight if you&apos;ve seen one of his 150 or so instructional YouTube videos. In each of them, this lean, tat-covered strength coach calmly explains and performs incredibly difficult bodyweight feats of strength using playground equipment in New York City&apos;s Tompkins Square Park. Kavadlo&apos;s almost cartoonishly friendly demeanor and his focus on strict progressions make for a welcome contrast to the chest-pounding music video vibe of most other playground workout videos. He clearly wants to teach, not just show what he can do. 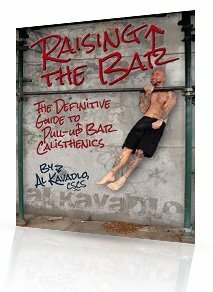 In Kavadlo&apos;s new DVD, "Raising the Bar"—a companion to the book of the same name—he lays out detailed progressions for a wide variety of pull-ups, dips, muscle-ups, handstands, and levers. He and his brother Danny (similar tats, but scowling rather than smiling) cover everything from the simple two-arm hang to advanced plyometric moves, ending each short lesson with a short freestyle exhibition showcasing goal movements like fist muscle-ups and behind-the-back clapping pull-ups. The value of a guide like Kavadlo&apos;s is clear for anyone aiming for specific bodyweight goals like a one-armed pull-up or muscle-up. However, it&apos;s also valuable simply for preserving the idea that movements and skills, rather than numbers or body markers, are legitimate end goals. This isn&apos;t a system that works if you do it once each week. It needs to be practiced and nurtured over years, but the ultimate reward isn&apos;t just strength or body composition. It&apos;s a new way to play. Who it&apos;s for: Diehard fans looking for the final word on the Austrian Oak. Being an avid bodybuilding fan for most of my life, I was as giddy as a Japanese school girl rocking a Hello Kitty cosplay at Comic-Con when this was finally published. 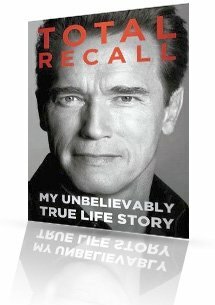 "Total Recall" is a revealing look at some of the details of the Austrian Oak&apos;s life and career development, offering plenty of memories and anecdotes from his early life that even fans like me missed over the years. Coming from a damaged post-World War II Austria, Arnold views America as a beacon of success and strength and vows to get himself there. He goes unabashedly after what he wants, taking obstacles out of his path with his indomitable will like a heat-seeking missile. Arriving in America with only a gym bag in hand, Schwarzenegger uses his determination and cunning to build an empire founded on bodybuilding, movies, and business. Many gritty details from his film-making and politics come to light in "Total Recall," but predictably, much of the dirty laundry remains hidden, with only glancing mentions of some of the obvious scandals already known to the public. Having spent more time than most learning about Arnold, this new addition to the Oak&apos;s library brings enough new content to make it a worthwhile investment. It is an enjoyable read but feels cautious—you can only wonder what was left out. Maybe instead of "Total Recall: My Unbelievable True Life Story" it should be titled "Total Image Control: The Inspiring Parts of my Life Story." Know of a new book, ebook, or video we should review? Drop a line to nick.collias@bodybuilding.com. Somewhere out there, CT Fletcher is disappointed in you for not doing more, being more, and especially lifting more. Learn the way to Mt. Bicepius from the man who made a 225-pound strict curl look easy! Arnold Schwarzenegger&apos;s iron mindset was legendary, and it transformed every part of his life. We&apos;ve reverse engineered his triumphs so you can make his secrets work for you!